Small cameras usually require a compromise in picture quality - but not with our T710 one-inch camera. We use a patented design to provide exceptional lighting and perfect picture quality. We use our own camera module to truly reflect the scene being viewed. 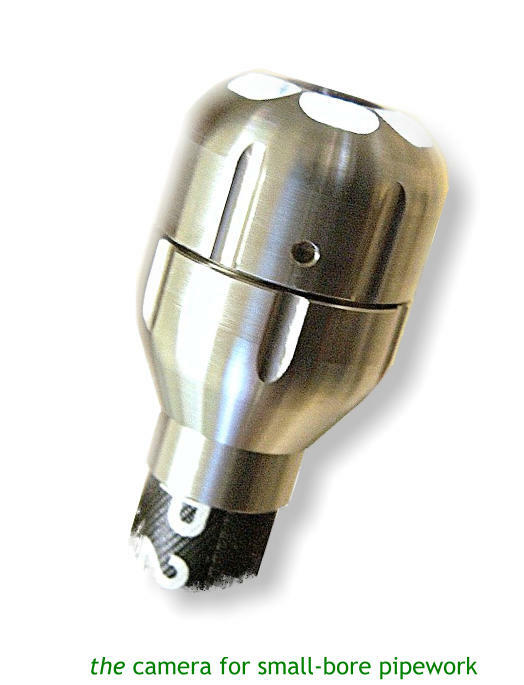 Waterproof to IP68 - 11 Bar - 160 psi, the T710 camera can be supplied with 20 metres of hyper-flexible rod which is housed in a small coiler cage. 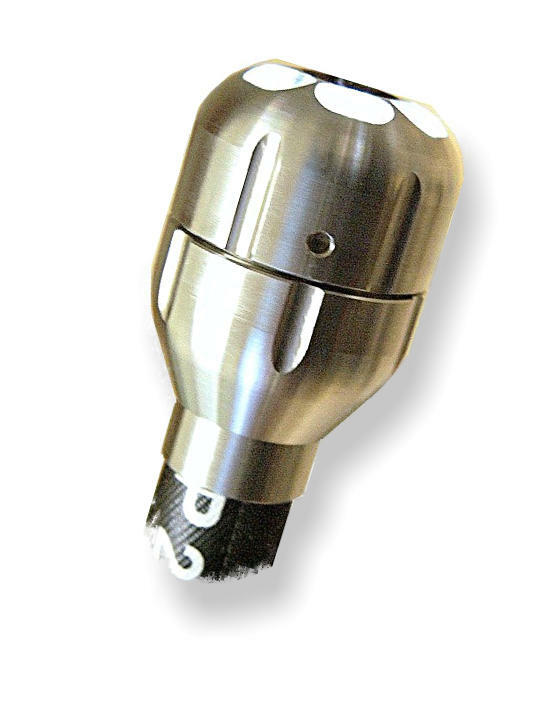 The cage can be fitted inside the T804 Trogloprobe coiler, or to the outside. 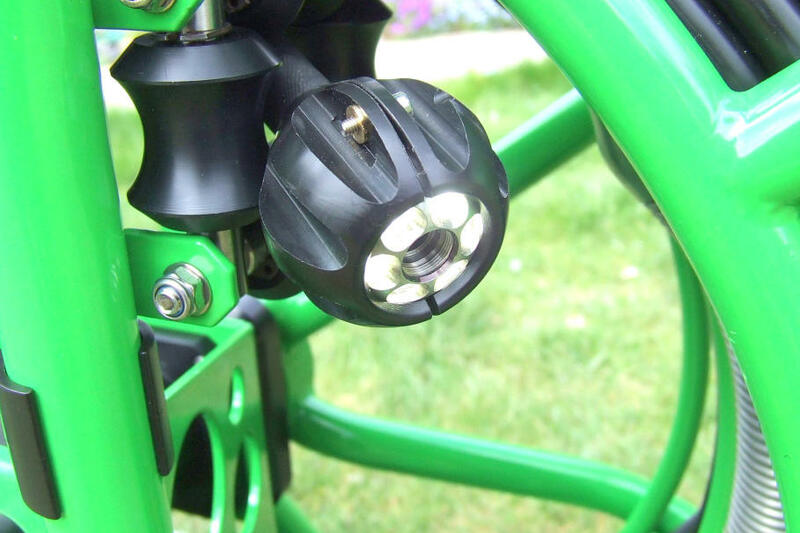 Alternately, the T710 camera head can be fitted to the end of the T804 rod. 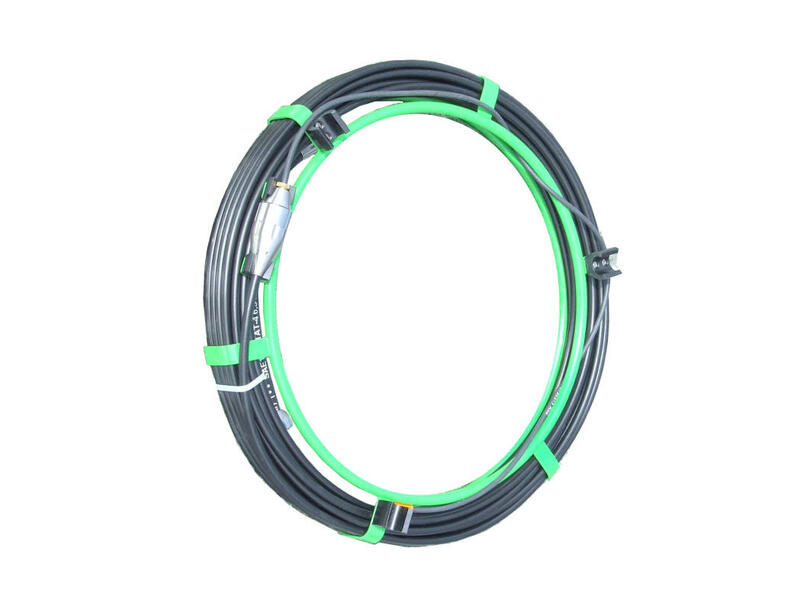 Designed for small-bore pipework, the T710 is highly flexible but retains perfect picture quality. 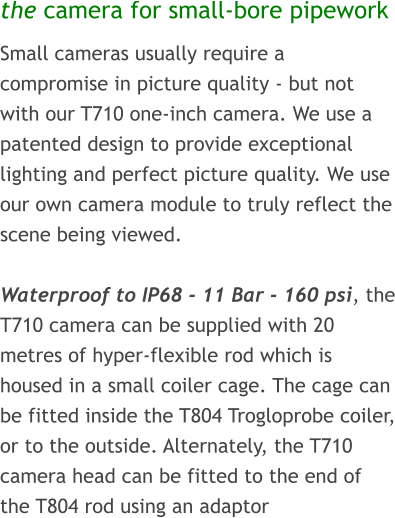 Designed for small-bore pipework, the T710 is an accessory for the Trogloprobe system and can be used as an extension to the standard 61M of T804 rod - the camera head can also be fitted to the T804 rod using an adaptor - highly flexible but retains perfect picture quality.